today we have first tea ceremony 2012 .
and thank you for participating . 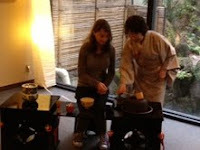 Today we visited Kyoto Ebisu shrine popularly known as “Ebessann”. January 10th is the day of Hatsu-ebisu, people enshrines the Ebisu God. and they buy some good luck charms on the day. There are also many food stalls around there and smells delicious. 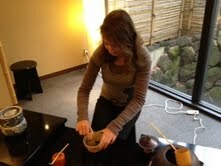 This morning, a yasaka taxi with pattern of a four-leaf clover came to our ryokan. 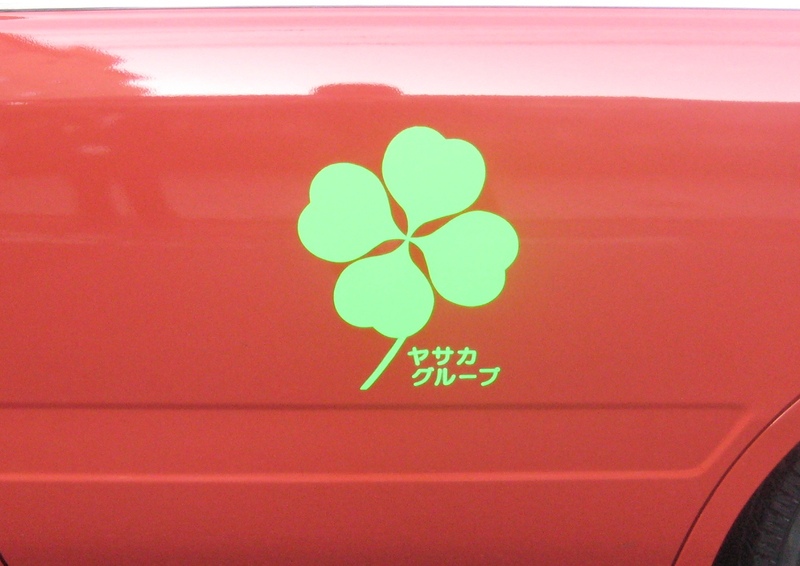 Most yasaka taxies are with a three-leaf clover. Taxies with a four-leaf clover are only 4 in Kyoto city. We cannot make a reservation, so this is very lucky. It is said that this taxi bring you a lucky. If you ride on it, you can get a special certificate and sticker. 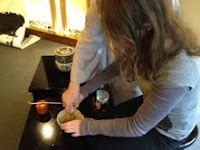 When youcome to Kyoto, let’s find yasaka taxi with pattern of a　four-leaf clover. May this picture bring you good luck! thank you for paticipating our lobby event. 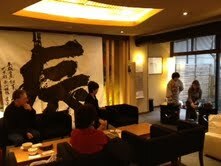 today we had big calligraphy event. this year we wrote this year animal(dragon). we hope this year is hopeful year.